For the FIRST TIME EVER, we go INTO the “Lost Bunker” (pictured here) and discovered the three Type XXI boats still entombed inside! This bunker no longer exists. In 2001, the German Government destroyed the bunker, forever entombing U-2505, U-3004 and U-3506 beneath thousands of tons of rubble. and too many others to name. For two weeks, we lived history. In France, we went to the German U-Boat bunkers on the French Coast at Brest and Lorient; we actually toured INSIDE them where only SHARKHUNTERS can go – and two of our group (U-boat veterans) remembered when each of them was stationed aboard a U-boat that was right there in the bunkers at Brest. We rode the overnight train through France and Germany, just like the guys coming home on leave, into Hamburg where we meet with a few hundred U-Bootfahrer – a total of 18 winners of the KNIGHTS CROSS, three with the OAK LEAF – one with the SWORDS! We visited the German Navy Memorial and toured completely through the only Type VII-C in the world – with two U-Bootfahrer giving the step-by-step explanations; visited the U-Boat Memorial that is dedicated to the nearly 32,000 submariners who did not return (SHARKHUNTERS sends about $1,000 each year to help maintain this Memorial); we toured through U-2540, the only Type XXIboat left in the world; we visited the Submarine School in Flensburg and sat in the same buildings they did in the war years when they were learning the art of submarine warfare; visited the submarine base at Kiel; dined with men of history – and at the end of this tour, three of our group went back on their own to enter the “Lost Bunker” and investigate these three Type XXI U-boats. We actually WALKED ON THE DECK of one of the boats – and put it all on camera! 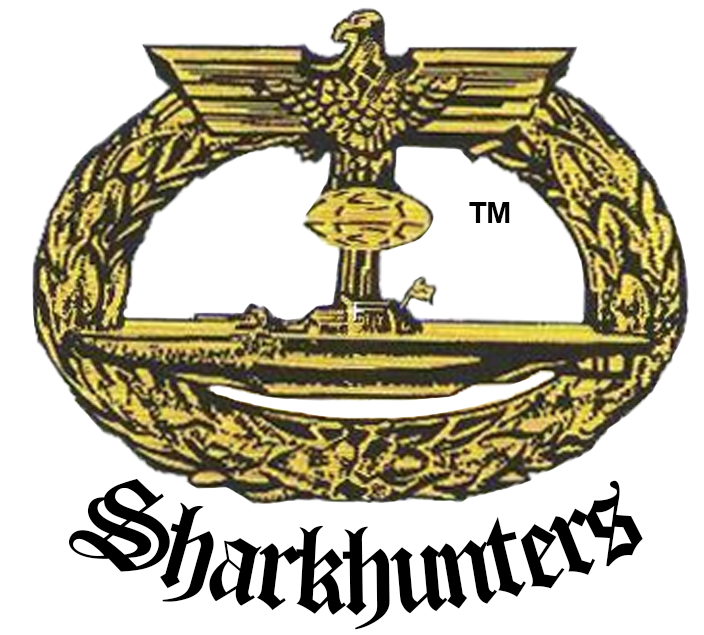 Join a SHARKHUNTERS ‘Patrol‘ and you will actually LIVE history!